Are you constructing a new home or business that will not be attached to the municipal sewer system? Are you experiencing wastewater flowing back into your house or business? You need the assistance of a professional company to help you install your new septic system or to replace the existing septic system on your property. Vac-Tec LLC is the local company to call. 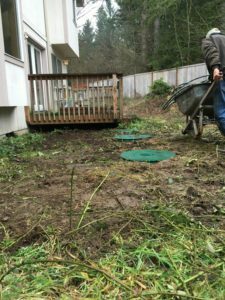 We offer high quality services for the installation of new septic systems for Black Diamond, WA residents. You can trust our skilled and trained technicians for choosing the most appropriate new septic system design suitable to your home. 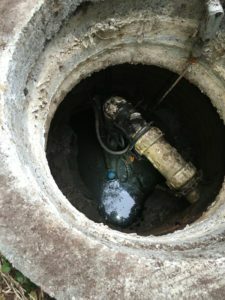 Our technicians are equipped with the latest equipment and have up to date knowledge of the most advanced techniques to install septic systems. Septic tank installation is not as simple as digging the landscape and putting in the tank. There are so many factors that you have to consider to ensure the new septic system is well placed and works as expected. You need to choose the experts to install or replace septic systems. We are those experts! We have been offering quality septic tank installation services for Black Diamond residents for a long time. Contact us today for a free inspection and estimate of the septic tank installation costs for your property. 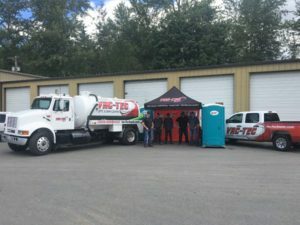 When it is about the safety and hygiene of your home, you want the best company to handle the inspection and maintenance of your septic system. And if you find you need to replace your septic system, you must choose an experienced company to handle the project. We not only replace septic systems but also work on septic pumps and repair septic system drain fields. Call Vac-Tec at (206) 339-0039 anytime you need septic system work done in Black Diamond. We are here to help you!